There's never a dull moment when you're travelling in Asia, never a time when things become boring or predictable. Asia has a way of surprising even the most experienced campaigner, of reminding you that things are different over here, that you can never really be sure of what's going to happen next. Still, there does come a time for some travellers when they feel like they've "done" the popular destinations in Asia, that they've checked off the famous sites and are looking for something different. They're ready to delve deeper into this continent, to discover its lesser-known locales, to feel that buzz of discovery and adventure once again. For those people, there's good news. Asia still has plenty to offer. This is a huge continent, home to more than half of the world's population, with more historical sites and cultural hubs than you could possibly explore in an entire lifetime. You might have been to Thailand or Vietnam, but how about Bhutan or Uzbekistan? Have you visited wild, exotic places such as Mongolia or Laos? Have you explored ancient, complex cultures such as those of Nepal or Iran? Asia has so much to offer even the most experienced travellers, so much that's different and fascinating and unique. If you love to travel in Asia but you think you've "done" it, think again. This beguiling and frankly addictive destination has plenty more in store. WHY GO The happiest place on Earth is apparently not Disneyland – it's a magical mountain kingdom hidden deep in the Himalayas, a place of faith and beauty, of peace and prosperity. It's Bhutan, the country that so famously measures its Gross National Happiness, and that takes a unique "less is more" approach to tourism, allowing only the lucky few the chance to come and experience this beautiful, friendly place. MUST DO Bhutan is filled with Buddhist monasteries in spectacular locations; however, none is more spectacular than Taktshang Goemba, the "Tiger's Nest" monastery, that is perched on a sheer cliff 900 metres above the Paro Valley. WHY GO It's not just the spectacular mountain scenery that should draw you to Nepal. It's not just the chance to trek to Everest Base Camp, or to do the Annapurna Circuit. It's not just the culture of Nepal, not the mountaintop monasteries or the bustling cities, not the great food or the relaxed, backpacker-friendly atmosphere. The draw of going to Nepal is all of those things, but it's also the chance to help the country recover from the devastating earthquake of 2015 – every tourist dollar makes a difference. MUST DO Though the Everest Base Camp hike is the most popular, the two to three-week Annapurna Circuit is perhaps the most visually spectacular, and is well supported by a network of teahouses in which to spend each night. MORE From October to December, the weather in Nepal is generally cool and clear; April to June is also beautiful. Visas are available on entry. 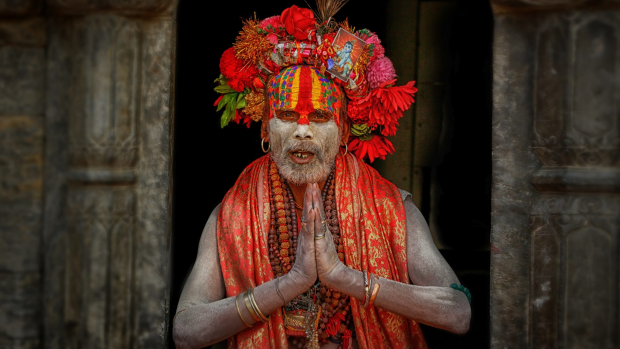 See intrepidtravel.com/nepal for travel packages. WHY GO Though Kim Jong-un is still playing dictator dress-ups just north of Seoul, South Korea is still an extremely attractive destination, a place with both history and modernity, with many of the touchstones that make Asia such an enjoyable place to visit – beautiful historic sites; modern culture that borders on the bizarre – only with a fraction of the tourist numbers of some of its neighbours. Check out flashy Seoul, historic Gyeongju, charming Jeonju, and modern Busan. South Korea will also host the Winter Olympics in 2018 – all the more reason to visit. 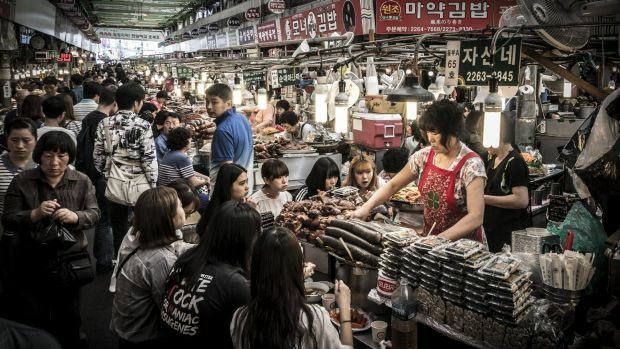 MUST DO Though South Korea's cuisine isn't as famous as, say, Japan's or China's, it's still an attraction in its own right – check out any Korean barbecue joint in the country, or a "chimaek", a shop specialising in Korean fried chicken and beer, for the full glory. MORE South Korea is a year-round destination, though winters can get quite cold. Australian citizens don't require a visa to enter. See intrepidtravel.com/south-korea for packages. WHY GO Those who love to eat, rejoice: the Taiwanese are as obsessed with food as you are, and they've been hoarding all the good stuff. This is a place that knows how to eat – from hawker-stand street food to fine-dining restaurants, you'll never go hungry in Taiwan. 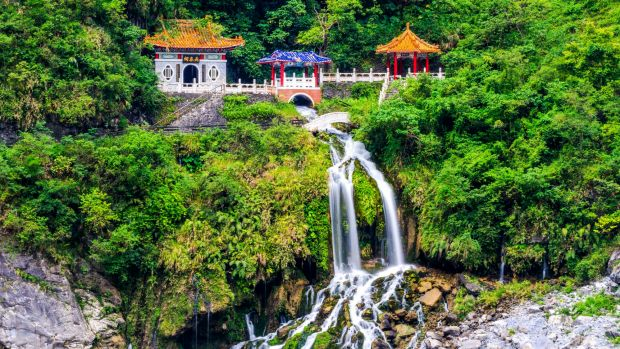 There's more to the country than just food, however, with outdoor adventure activities including hiking and biking in the mountainous interior, as well as great beaches, and some amazing annual festivals in places such as Taipei and Keelung. MUST DO One of the best times to be in Taiwan is during "Ghost Month", the seventh month of the lunar calendar, when it is believed ghosts haunt the island, and a huge festival is held in the town of Keelung, where lanterns are lit and floated into the sea. WHY GO There's no feeling of emptiness, of pure isolation, quite like the feeling you get from standing on the Mongolian Steppe, gazing out at the pure nothingness that goes for mile after mile all around you. 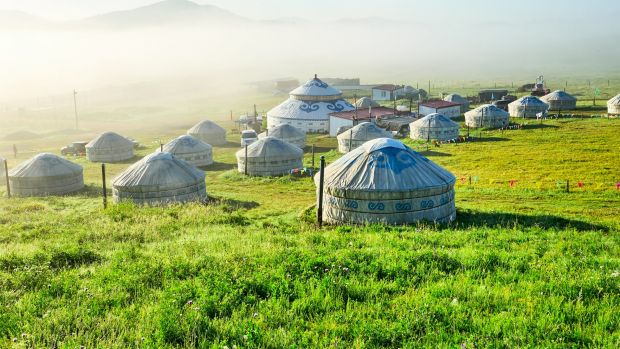 While most people's first impression of Mongolia is bustling, ugly Ulan Bator, the country is really one of wide-open spaces, of families living traditional nomadic lifestyles, of stunning scenery and warm welcomes. MUST DO It's essential to spend a night in Mongolia in a traditional yurt, or ger, with a local family. You'll see life lived the way it has been for hundreds of years, dining on traditional food, chatting with your hosts, and listening as the wind whips across the steppe throughout the night. MORE You can visit Mongolia any time of year, though it's bitterly cold in winter. Ideally, arrive in July, when the annual Naadam folk festival is held. Australians require a tourist visa to enter. See beyondtravel.com.au for travel packages. WHY GO There's something beautifully tranquil about Laos, about this nation of laidback, friendly people who tend to welcome visitors like they're old friends. The historic city of Luang Prabang is now a popular stop on the banana pancake trail; however, some of Laos's lesser known areas, such as Vieng Xai in the east, Phonsavan in the centre, and Si Phan Don in the south, make it well worth taking a few weeks to explore. MUST DO Luang Prabang is Laos's most popular destination for a reason: it's a UNESCO World Heritage City that was the capital of the first Laos kingdom, and visitors can wander its charming streets and check out temples, night markets and more. MORE Laos is hot and humid from March to May, and rainy from May to October. Australians can obtain a visa on arrival. See getaboutasia.com for packages. WHY GO Yes, sharp-eyed observers would have picked up that Bali and Indonesia are one and the same; however, most travellers seem to treat Bali as its own entity, ignoring the delights of greater Indonesia in favour of lounging around on that famous island. There's so much of Indonesia that goes undiscovered – places such as wild, beautiful Sumatra; the orangutan paradise of Kalimantan; the cultural hotspot of Yogyakarta; the unique culture and underwater wonderland of Sulawesi. MUST DO Of all Indonesia's undiscovered highlights, we would have to plump for Sulawesi as a must-do. This is a rough-and-ready destination with amazing cultural diversity, highlighted by the elaborate ceremonies of the Toraja highlanders, plus some of the world's most spectacular snorkelling and scuba-diving off the coast. MORE Australians can enter Indonesia without a visa. While this is definitely a year-round destination, it can be hot and humid in summer. See intrepidtravel.com/indonesia for tours. WHY GO Uzbekistan is the perfect jumping off point for anyone interested in exploring the 'Stans, a sublime place of mosques and madrasas, bazaars and souks, a friendly, exotic country with a history that takes in Alexander the Great, Genghis Khan, and many more. Travellers have been visiting ancient settlements such as Samarkand, Bukhara and Khiva for centuries as part of Silk Road trading, and a spirit of curiosity and hospitality lives on. 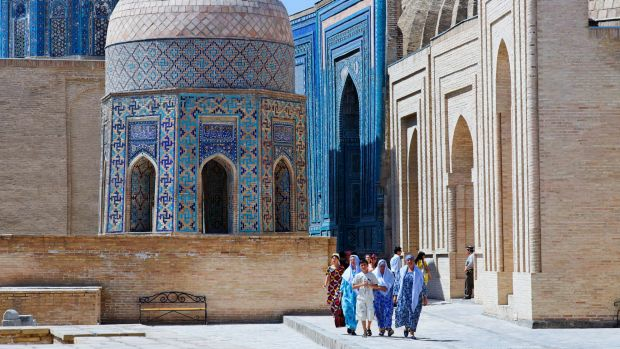 MUST DO The heritage-listed city of Samarkand is an absolute must-visit, with its intricately decorated mosques and its ancient mausoleums, its open spaces and its old, winding streets. This was a major hub on the Silk Road, and signs of Samarkand's old prosperity abound. WHY GO If it's islands you're dreaming of, white sands and swaying palms, then you could go for one of the traditional tropical locations – or, you could check out Timor-Leste. Though the tourism industry here is admittedly in its infancy, this is a beautiful, fascinating place, with mountains in the interior and coral reefs under the ocean surface; with rustic villages to explore and out-islands to visit. This is one of Asia's wildest places to get off the beaten track and have a true adventure. 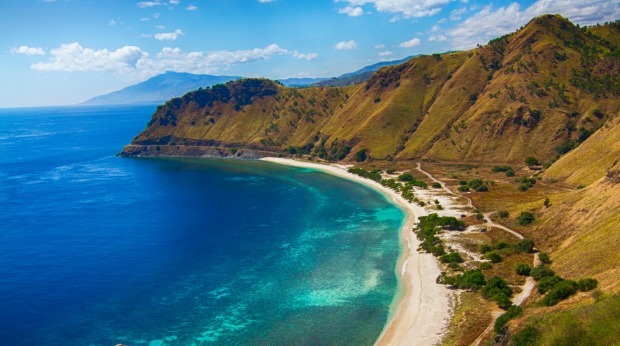 MUST DO Twenty-four kilometres north of Dili lies Atauro Island, home to the most biodiverse waters in the world. The scuba-diving here is obviously spectacular, and the handful of locally owned eco-resorts on land make this a truly memorable spot to while away the days. WHY GO Though it was part of George W. Bush's "Axis of Evil", and also seems to be on Donald Trump's naughty list, Iran is one of the friendliest, most welcoming places you could hope to visit. This is a country with a long, fascinating history, with ancient sites like the ruins of Persopolis, and centuries-old mosques in cities such as Isfahan. Persian cuisine is also one of the most sophisticated around, and although the best stuff is only served in people's homes, you'll very likely be invited in to try it. MUST DO A stay in Isfahan will be one of the highlights of your travelling life. This ancient city is riven with souks and bazaars, with mosques and teahouses; it's also the home of Naqsh-a Jahan Square, a huge, bustling hub that brings to life the old saying, "Isfahan is half the world". MORE You can visit Iran any time of year – there's skiing in winter, and it doesn't get too hot in summer. Australians can apply for a visa on arrival. See gadventures.com.au for Iran travel packages. This is probably not the place that pops to mind when you think of Asia, but as the largest hub in eastern Siberia, Irkutsk is undoubtedly Asian, and it's an amazing place to visit, with its traditional wooden houses, its 19th-century churches, and its proximity to Lake Baikal. The capital of Hokkaido is a foodie paradise, not just because of "ramen alley", where you can get some of the best noodle soup around, but because of the high quality seafood that comes from the waters surrounding the island, plus the fact Japan's best beer is brewed in town. The quieter alternative to nearby Chiang Mai has a pleasant, relaxed atmosphere, a great food scene that can be experienced at the bustling night markets, plus enough temples and pagodas to keep visitors going for a good couple of days. Beginning to open up after years of brutal civil war, Jaffna is a northern Sri Lankan gem, a friendly place with the best food in the country. Don't miss the turmeric-infused Jaffna dosas; the crab curries in this part of the world are also insanely good. Though plenty of travellers have made their way to Kuala Lumpur in the past, it's worth also making time for George Town, on the island of Penang. Colonial history is everywhere you look in this seaside hub, plus you've got what's possibly south-east Asia's best food scene to enjoy. Those hoping for a break from the madness of India need only call through Kochi in the southern state of Kerala – things are different down here. There's something about the oceanfront location, as well as the heat and humidity, that gives Kochi a pleasant sense of being languid and at ease. South Korea's southernmost hub is an exciting, modern place, where you can relax by the beach during the day, and wander market after market during the evening. Plenty of local Koreans come to spend their holidays in Busan, and it's very easy to see why. The Uzbek capital will never be mentioned in the same breath as the likes of Mumbai or Bangkok; however, Tashkent does have its charms, and it is well worth exploring as you get to know central Asia. There's a fascinating clash here of old-world values and new-world progress. You will almost undoubtedly get lost in the heritage-listed city of Lijiang: its vehicle-free old town, with its maze of narrow paved streets and irrigation canals, is difficult even for locals to navigate. Don't let that deter you, however – just walking through here is an amazing experience. Though it's notoriously difficult to access, Lhasa is well worth the effort to see – this mountain city, with sites such as the towering Potala Palace and the 7th-century Jokhang Temple, as well as a stunning Himalayan location, is one of the world's great destinations. You could return to Japan again and again, visiting year after year for the rest of your life, and still not properly understand it – but that's its charm. Japan is a baffling but beautiful place, a friendly, safe destination where the culture both old and new is fascinating, the food is spectacularly good, and the sights world-class. This is an old-favourite destination for many Australians, and despite some sporadic political unrest in recent years, it's still an amazing place to spend some time. Laze around on beaches in the south, hit up the street food stands in central Bangkok, or enjoy the laidback atmosphere in the country's far north. Vietnam is extremely affordable, as well as being culturally fascinating, which has helped it gain a place in many an Australian traveller's heart. Whether you're spending time with hill tribes or cruising through Halong Bay in the far north, having clothes tailored in Hoi An in the centre, or soaking up bustling Ho Chi Minh City in the south, there's never a dull moment. "Incredible India" – it's rare that a tourism slogan so accurately sums up a destination. And it's nothing short of a miracle, in fact, that a place as huge and diverse as India, as amazing and disturbing, as endearing and as frustrating, could possibly be described so succinctly. But that's it: incredible India. China isn't a country – it's a continent. It's a world unto itself. It's a whole series of diverse micro-nations, a giant swathe of provinces where you'll discover unique languages and cuisines, distinctive architecture and dress. No traveller could ever tire of exploring China.